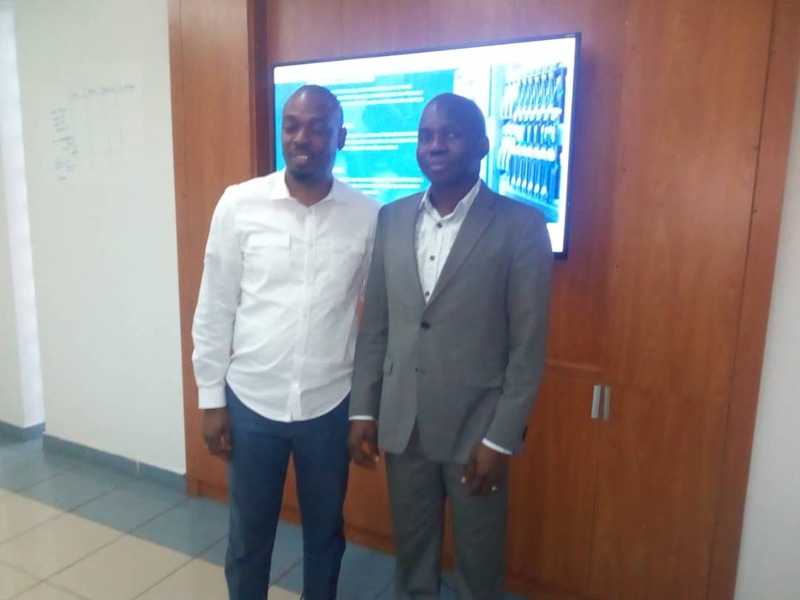 Today, I was with one of the leading cybersecurity companies in Nigeria: a leading PCIDSS compliance consulting firm in sub Saharan Africa. Infoprive is a category-king technology business. It is a digital security company which delivers services across key nexus of digital compliance, assurance and protection. In some sub-categories, it commands 100% of the market share in Nigeria. As an innovative and driven information security company , we are a leading Information security brand with in-depth knowledge and hands-on approach to Information security solutions and services. Our expertise extends to security assessments and remediation, consulting , implementation, managed services & incident response. We provide tailored and value based guidance that is specific to our clients’ unique situation and environment, with the aim of improving their information security system through a dynamic, result-oriented and continuous improvement approach. Over the years, we have demonstrated an innate ability to add value to our clients ensuring profitability for their business; making us the number 1 information security company in Nigeria and in Sub-Saharan Africa. It was a fascinating experience meeting the geeks and young people who are working day and night to ensure that most of our banks transfer our money securely. You should not take that for granted even as having your bank branch in your cell phone has become the norm. Yes, before you use that USSD with the trust and security that come with sending money via SMS-like system, Infoprive may be doing many things underneath. It should make everyone happy that our nation has built capabilities in these niche areas. I met a young man – among the very few earning a PhD in Cybersecurity. He is a defined geek in all the mathematical sense. A company cannot have better readiness through the tested construct of the accumulation of capabilities. Infoprive is investing in its people to remain a leader in the digital security business it operates. Founders build nations because they create companies which help in fixing frictions that exist in markets. If you are looking for extremely committed and talented team that can deliver compliance at any level of complexity, Infoprive is there. It is a firm I have come to know and I am extremely honored for its mission. Spending time with the team and looking at the business has been very fascinating.